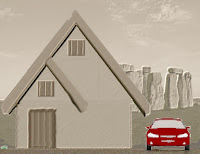 When a reader contacted me to ask my opinion on a reconstruction that was referred to as “the Stonehenge House”, I saw an interesting opportunity for a blind test. In truth, I had not looked at this, so I requested and received a copy of the archaeological plan from Durrington Walls on which the reconstruction was based. I fully expected to produce a different conclusion since, as an archaeologist, I try to work by deduction, rather than by comparison or projection; it's the difference between astronomy and astrology. I sent my reply back in just over a day, in the form of the drawing reproduced below. 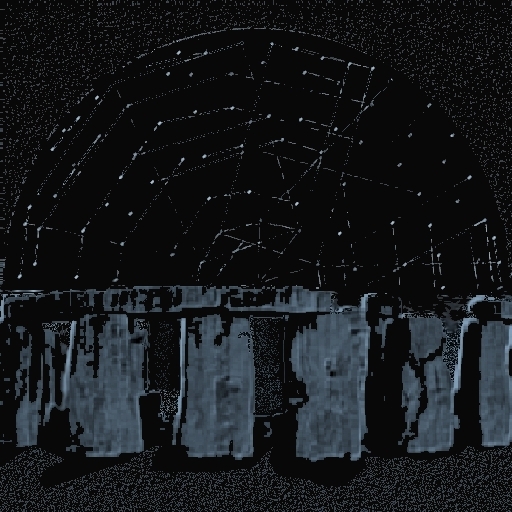 It was just a quick hack; it has taken a lot longer to write it up for this post, probably because in term as of scale it is more like a Stonehenge Shed, and I have more significant structures I should be working on, but being an Aries, I can’t resist a challenge. Regular readers will be aware that I do have serious prejudices about the nature of built environments in this period, which included large class Ei buildings like “Durrington Walls” . My interest is mainly in this main structure, which I know was a building, even though only half survives, because I have done the maths; post-processual academics know it is “ritual” because they haven’t. 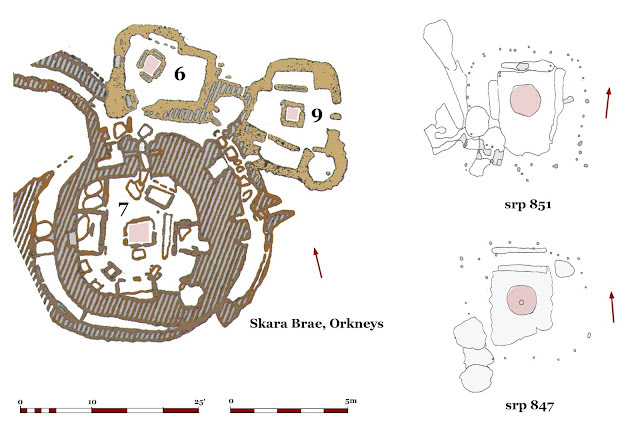 At the time of writing this I still have not seen what was actually built, although along with the plan had come three bits of information about this particular reconstruction; that it was based on srp_house_851, which was similar to Skara Brae, and had a thatched “flex” roof. From these clues, you don’t have to be a Capricorn like Sherlock Holmes to deduce what they are going to happen ; the past, is going to get crudely fitted up. 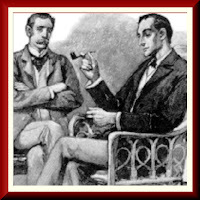 While you can usually follow Inspector Lestrade's “logic”, it represents a culture of presumption on the basis of previous form, where only evidence that confirms the gilt of the most obvious suspect is considered relevant. 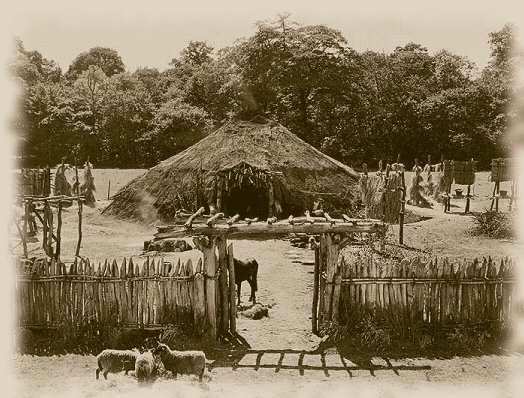 In reality, a lot of archaeological data gets taken round the back, given a good seeing to, and forced to confess; not that I am biased against rude natives in crude huts or vice versa. Archaeology; Rules of evidence; Astronomy or Astrology? It seems to be acceptable, even essential to some academic approaches to project ideas onto the evidence, rather than deduce them from the actual dataset. 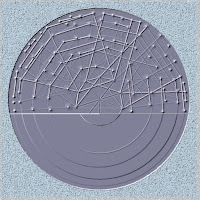 Both astronomers and astrologers study the stars, the former strictly by measurement and deductive reasoning, while the latter also projects ideas onto the heavens, using the authority of traditional belief/faith structures to validate the perceived connection between apparently different classes of evidence. 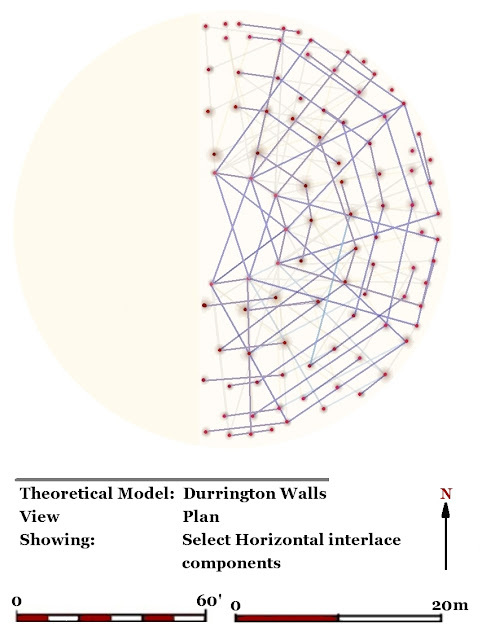 In this particular case, ideas not inherent in the data recovered by the archaeologists at Durrington Wall, but taken from Skara Brae, a stone built structure on a treeless island a thousand miles away and roofing technique used by Native Americans will be “projected” onto the evidence. A bit harsh, but you can’t mix deduction and projection; you end up with radio-astrology, or even astro-archaeology! While trying to follow a purely deductive process is, in a philosophical sense, an aspiration, it has to start by identifying existing presumptions, and challenging them. 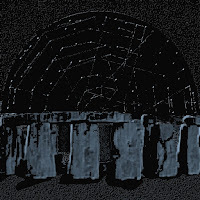 I only looked at the archaeological plan that of the structure referred to on the plan provided as srp_house_851, [Srp = Stonehenge Riverside Project]. While this may be Autocadian idiosyncrasy, "Srp_house_xxx" is also an interesting and entirely prejudicial use of the word “house”, presumably as in “habitation”; prompting the question; how was it established that people lived in this particular structure? However, I am only working with a plan and I would like to know a lot more about the pit / gully complexes, in particularly the slot like features, before I could commit myself. Normally, structural analysis is logical and can be laid out as a flow diagram where the consequences of different options can be examined and tested against the evidence. 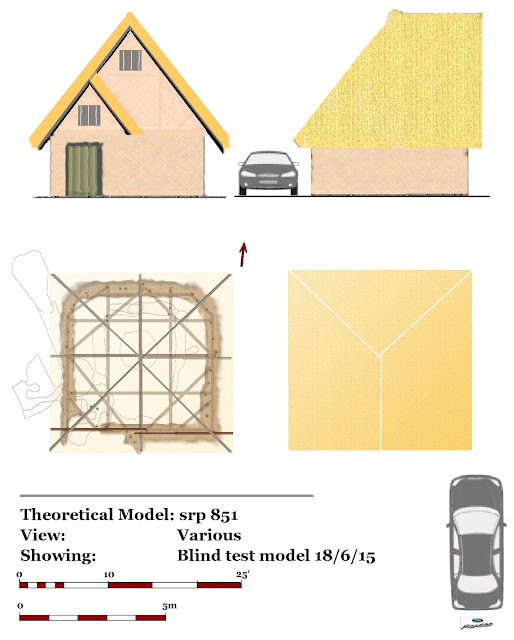 Without all the dataset, I cannot properly test any model in detail, so this is simply an exercise; nor can I gauge how rigorous has been the analysis of the evidence used by the Stonehenge House builders. However, I think I can show that minor changes in assumptions can radically change logical outcomes, and that answers are conditioned by questions. It should already be apparent that I am projecting my own expectations onto what I imagine has been built. 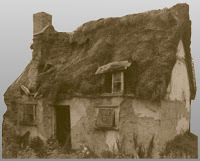 I have presupposed that the Stonehenge House builders will have prejudged a number of issues, and that is certainly my blind prejudice at the time of writing. 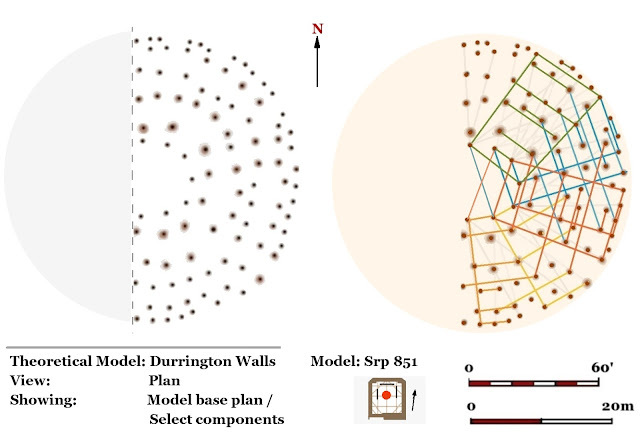 Srp 851 was represented by a series of what I was assured were stake holes, [this is crucial], with an area of chalk floor surrounding a hearth, apparently features broadly shared other similar structures like Srp 547, although each has its own an individual pattern of associated slots and pits. The structure is possibly too small to be properly understood in terms of timber jointing and offset. 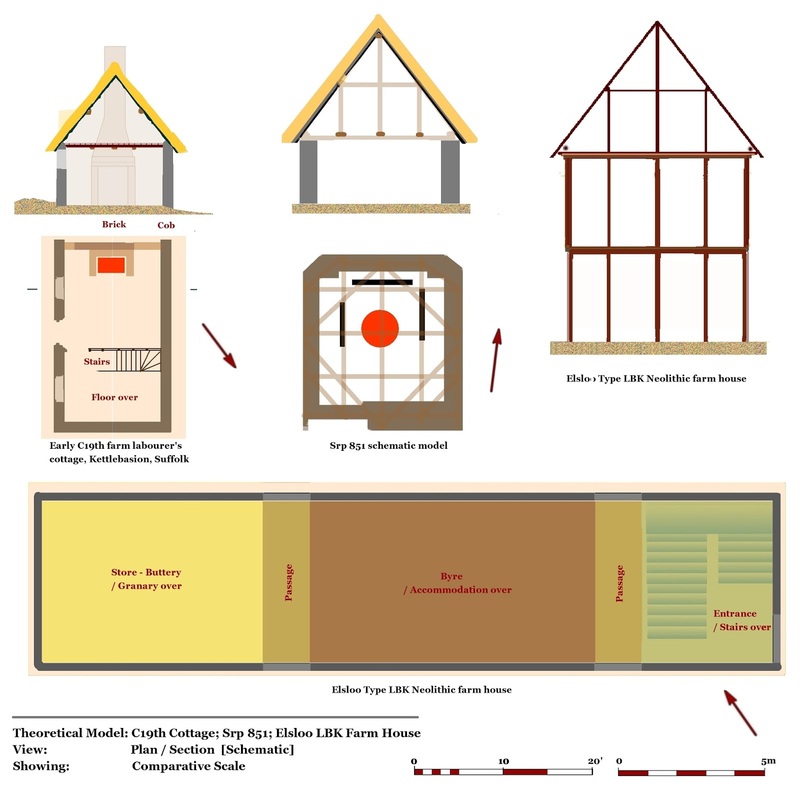 At this scale the walls are at least part load bearing, and cob construction has been assumed, especially if only ‘Stakes’ were used; the presence of just a couple of posts can significantly change the way the roof load is distributed. Overall, the structure is remarkably regular and it is possible to superimpose quite a regular grid on the plan; this is my initial form of analysis, trying to understand the geometry of the roof from its supporting structure. The geometry, particularly the strong diagonal alignment and poorly defined corners on the north side suggested a pyramid roof, with ridge and gable on the south side, which is presumed to be of rigid construction. The south wall is thicker due to the extra height; it has a door with a porch and window above, with a second window under the apex of the roof, providing light and ventilation. There is a potential height differential between the pyramid and pitched roof sections allowing for some sort of louvred opening in the apex , which in combination with openings in the gable could control to control smoke ventilation. There is certainly the potential for a planked first floor on joists running E-W, but much would depend on the function ascribed to the building. 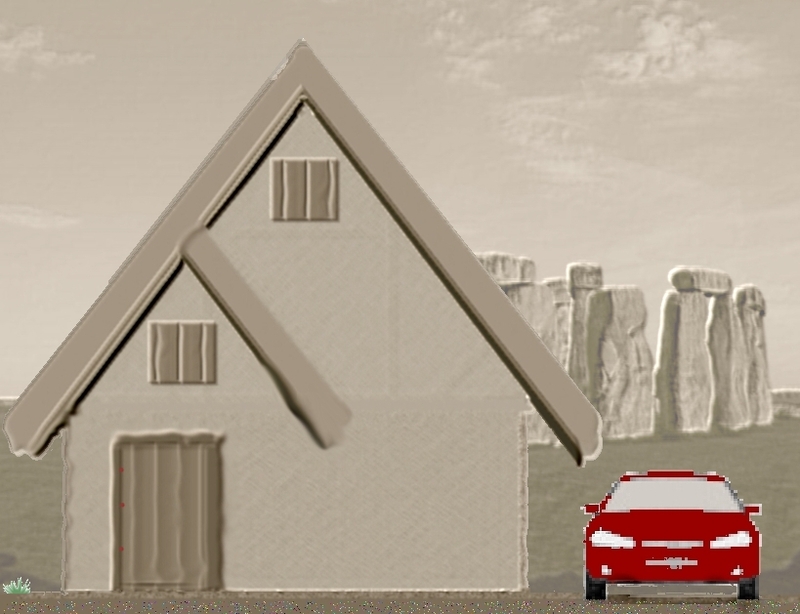 Knowing that the Stonehenge House builders had opted for a flex solution, and given prejudices about the nature of broader built environment, as well as my recent work with Native American architecture I went for a ridged structural solution, using cob, and some form of roof truss. 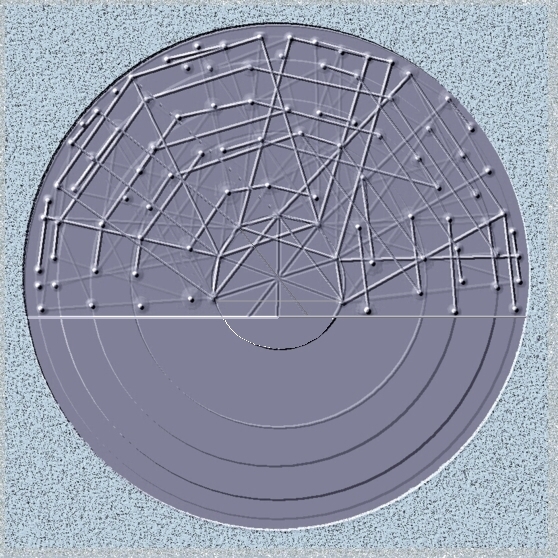 I had not considered a flex roof in this context, although in such an eventuality, this geometry would indicate a dome rather than a pyramid would form the main roof. This type of structure begins to look remarkably like a yurt, but just as with Skara Brae, this is structure constructed with different types of materials. A yurt has a thin lightweight flexible skin; you cannot just add thatch or wattle and daub, and similarly, combining a ridged wall with a flexible roof is not straight forward. However, a soft skinned structure would explain why some of the edges of features around the south-west corner coincide with the line of the stake holes marking the "wall"; this would not be expected to occur with cob wall or wattle and daub construction. The presence of the hearth tells us that this is a space not used for animals, but it does not follow this was a home; any building in which people spend time will require heat, as do a multitude of other processes. So let’s cut to the chase with this “House” concept; firstly, this is not necessarily what we would conventionally think of a house, it is small and might equally well be a utility building, an element in a wider built environment. Secondly, if you are housed in building this size you are probably at the bottom of whatever social pyramid existed. Its scale conforms to the smallest of traditional workers cottages, or the sort of buildings built for slaves. 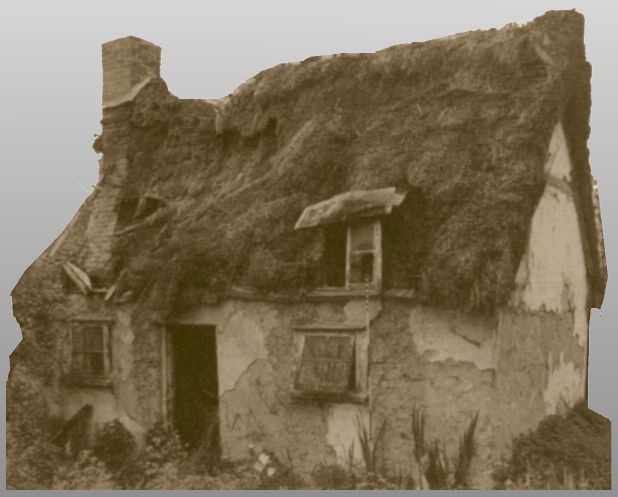 To illustrate this I have included a plan and section of Early C19th agricultural labourers from Kettlebasion in Suffolk, which was built of cob with a thatched roof and a later brick fireplace,  [Left; the image shows the derelict cottage shortly before demolition]. Conversely, an interpretive schematic of a Neolithic Farmhouse, demonstrates the scale of building required to accommodate not only a household, but also all the products and processes necessary for the practice of agriculture. However, the key issue is the interpretation of the slot like features which define three sides of the floor. I can imagine that they have been interpreted as furniture, especially given the mention of Skara Brae where slabs of stone set in the ground had been used as the basis of ‘beds‘ and other internal structures. Furniture is traditionally free standing, and not set in the ground, because it is not load bearing in serious engineering sense, structural stability is usually the only real justification for placing wooden components in the ground. If they represent very heavy fixed benches, bed or bunks, it certainly adds to the impression of accommodation for slaves or perhaps soldiers. Putting aside a “house” as a function, it is worth hypothetically considering what other types of buildings fit the evidence; a small building with a heat source, floor, and some potentially load bearing internal structures. The hearth takes up a lot of the space, restricting activity to the margins of the building, which would effect the utility of the space, and its potential use for something like a workshop. As well as warming people, fire is the principle source of heat for drying and processing a very wide range of products, although not all might require a building of this type. Returning to the issue of the slots, they are clearly related to the geometry of the building, and have a distinctly offset layout. 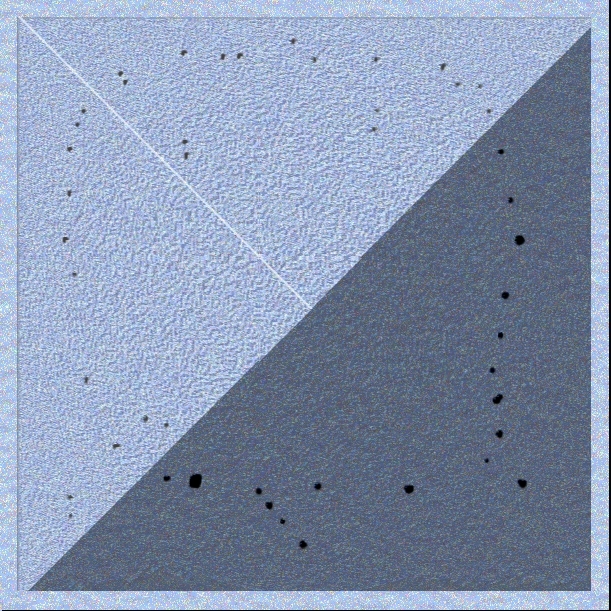 My first assumption with earth-fast features is that they are load bearing in an engineering sense; linear features I associate particularly with walls, stairs, and occasionally door frames [thresholds]; most everything else is covered by postholes. Thus, my first port of call would be a structure like a staircase, in three flights, a half turn with landings, which would have structural implications, the building would be taller, and might need a gable on the north side to explain why the slot is nearer to the north wall, [headroom]. While it would be natural to assume a floor or floors, if the structure was used for smoking meat or fish, the stairs might be for accessing the space; conversely, a function involving drying or malting grain would require a floor. Just as any possible association with drainage can be understood on the basis of comparative levels, so stairs should be detectable by the depth and profile of the features as well as their positioning within the building; [without this information this is an exercise]. On the subject of drainage, heavy duty fixtures and fittings may be indicative of significant volumes of liquid, presumably in rectangular troughs, rather than circular vats. While there are processes such as brewing, dying and washing fabrics, it is only a bathhouse that might be expected to have rectangular troughs, which is is an intriguing, even subversive suggestion. Asking different questions produces different answers, thus I did not expect to agree with the Stonehenge House builders. 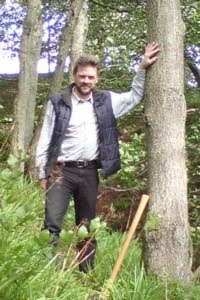 In addition, I have the advantage of not actually having to physically realise anything, as well as different understanding Prehistoric timber architecture in this period. This creates a bias towards a complex multifaceted built environment, which need not presume a conventional domestic function for structures. While I consider ethnographic comparisons unhelpful and often absurdly simplistic, I do consider the local historical architectural tradition to be guide to the types of buildings used in that environment. In one sense scale is a reflection of local materials, but also relates to the needs of local economies and social structures; architecture reflects its patronage. While there are better and more complete buildings to study, I have taken the opportunity to look at main building at Durrington Walls, for an upcoming article on interlace theory. I think that it is a domestic building, simply because it has complex geometry, although not as eccentric as Woodhenge. However, once you understand that the built environment contained what we might term full-blow architecture, with buildings built to be as large as technically possible, it radically changes the perception of ancient structures and the society that built them. While individual buildings should be always considered on their own merit, they are usually part of a wider build environment, were specialist functions and social differentials are represented in a range of types across a geographical area. The intent of this approach is to understand the engineering principles behind a structure; with the classes of evidence available, its skin cannot be realised. While “what it looked like” is what people think they want, once you start imagining the past, the pictures can become more important than the evidence, simply because they are a lot more “real” than the archaeology. Despite an absence of relevant evidence, we have developed a visual culture of the past to which we not in any rational sense entitled. It is a sort of iconography; we recognise an image of Jesus which almost certainly bares no relation any potential “Historical” reality. Just as we make deities in our own image, or rather in the reflection of our own collective imagination, so the realisation of the past often tells more about the state of our visual culture than it does about the past. This imaginary world tends to be centred around the “trope” of simplistic prehistoric people with an almost universal primitive tribal culture uniting those who lived in caves, [and fought dinosaurs or wild beasts in their underwear], with those progressing gradually towards the classical period in a series of crude huts built with the minimum of resources or technical input by toolmakers who has yet to master their use. Not the sort of people to live in a palace or need a bathroom. 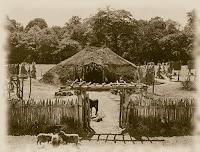 Thus, I fear that the Stonehenge House will be another episode in primitive man’s quest for shelter, which started in the 1940’s with a Little Woodbury reconstruction that looked like it built by Adam and Eve following the fall, [above left], a theme with continued the out of Africa buildings at Butser which inspired a generation of mud huts and rustic gazebos. It’s a past as built by students, an advantage that ancient peoples could never have imagined in their wildest dreams; so we imagined it for them. While the post-processualists have brought us a landscape full of meaning, sacredness, and similar conceits, it is sadly devoid of functional architecture, illustrating the disadvantages of studying your own imagination. 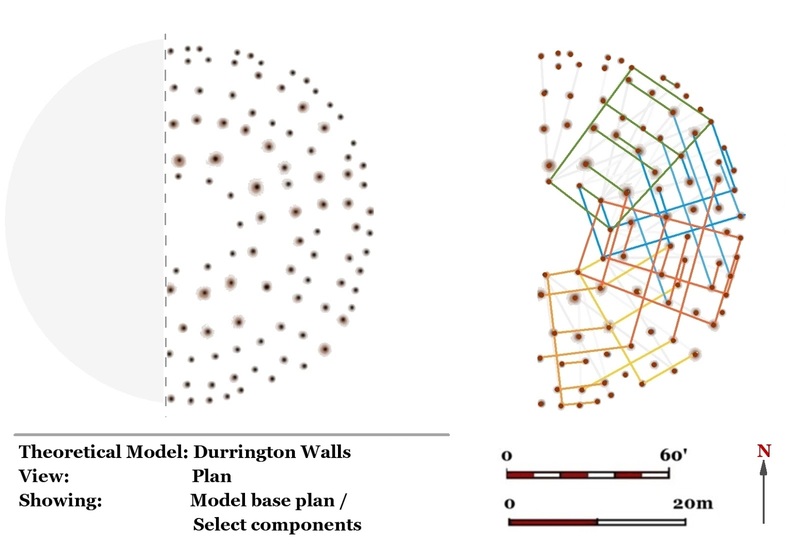 The underlying issue is a methodology that detects, compares, and conceptualise archaeological buildings in terms of shape. This in turn facilitates comparison across space and time, usually with scant regard for geographical context, scale, raw materials, climate and culture. The archaeological evidence is co-opted to fit ideas and patterns derived from entirely different contexts by ignoring any differences in favour of similarities . The concept of “reconstruction” can come under significant evidential strain, when it is “based” not on deduction from the evidence, but projection of ideas onto to it; fundamentally, it is the difference between Astronomy and Astrology. 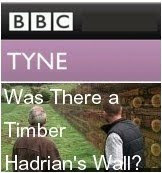 At the time of writing I have not looked at what was built; I will leave the article as it stands regardless – as a record of my own prejudice about the contemporary culture of Prehistoric building reconstructions. As my own efforts have been limited by lack of detailed information, I can reserve judgement, but that would be cheating. One the advantages of modelling is that you can be honest about degrees of confidence and fit. Notwithstanding these limitations, I ought to come clean about what I think about Srp 851; I am not convinced of any particular non-domestic function, although I like the idea of a smoke-house; I cannot make a good case for a stairs, and nor can I justify a bathhouse, which is a shame. Both the slots and the nature of the floor remain an issue to my mind, as does the complex of features to the west. So while I might be prepared to concede some ground on the low value domestic habitation front, worryingly, I am currently unable to find any good argument against Srp 851 being the remains of a temporary soft skinned structure like a yurt. 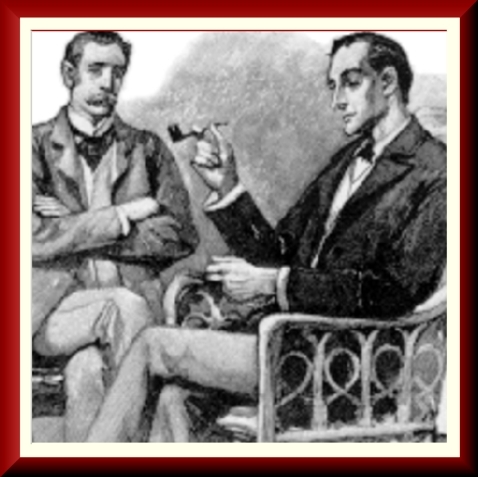 Sherlock Holmes, The Sign of the Four by Sir Arthur Conan Doyle. [... and presumably also physically occupying real spacetime somewhere else]. How Did I do Do? Klinger, Leslie (2005). The New Annotated Sherlock Holmes. New York: W.W. Norton. p. xlii. ISBN 0-393-05916-2. How can you date the 'shadow' of a hole in the ground? How can you tell just which holes are contemporary and constitute the set that your theoretical reconstruction has to explain? Stratigraphy, where available, can give relationships/ relative dating; Context – comparable types / scale of features, with similar Fill – can help group a set of features together . Layout and special relationships can provide a clue to associations between features; this is what I am trying to achieve, although the smaller and more simplistic the building the harder it is to model. Thank you. I think one of your earlier articles mentioned a site with a confusion of 'relics' of holes, which were ignored rather than explained. Presumably these could have been made by various constructions and re-constructions at different times. Do you have some sort of mathematics or computer program to try possible fits and left over anomalies? Presumably there are templates for likely buildings, at least since most buildings are rectangular and may have the biggest holes for the corners. Could you tell if a set of holes was 'over-dug' in a 'grandfathers axe' situation of later repair or re-modelling? Thanks, again, straight to the point; not sure about relics; we often have several ph\ses of structure overlain. In theory, if you can understand the basic structure, repairs and alterations may become apparent. There is not any templates - only vague ideas about shape. However, I am working to create a methodology for studying the geometry [maths] of structures and general principles for modelling postholes. Template is far too strong a word for what I am trying to do, but does describe the comparative approach adopted by many archaeologists. I find these data sets so fascinating for the ways in which they are similar and dissimilar to the prehistoric Native American molds that we have in the Eastern U.S. If you took away the slot features, the size, shape, and dimensions of this structure would be identical to many of the domestic structures we find here in Ohio. If I looked at a similar structure in Ohio, I would be inclined to interpret it as a flexed pole structure (which there is a strong tradition of in the U.S. but not in your part of the world.) I think they do represent different types of structures, especially because of the mysterious slots, but I'm constantly drawn back to the idea that gravity is not culturally specific. So many of the postmold patterns on these pages look so remarkably similar to ones we have here, it sometimes shocks me. There are lots of other things one must consider other than just the distribution of molds (economic needs, woodworking technology, wood species, etc, etc.) but perhaps the big lesson for me is this: despite our eloquent words, we still consciously or unconsciously assume that non-western cultures were primitive builders. I am convinced that they were exceptionally skilled woodworkers and builders and understood all the same concepts as their European contemporaries. I wish that you and I had better data sets to work from. If we could even differentiate posts from stakes, I do believe that would help immensely in the interpretation. As it is, we have to use the data we have, but I like your comment at the end: "I can reserve judgement, but that would be cheating. One of the advantages of modelling is that you can be honest about degrees of confidence and fit." I like that a lot and it's a good way to justify venturing different ideas while acknowledging that such interpretations are always going to be aided or hampered by the quality of the data.